Directed by Antoine Fuqua. 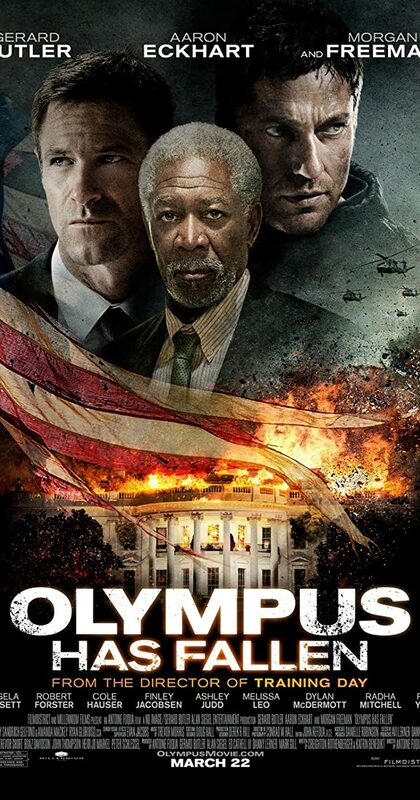 With Gerard Butler, Aaron Eckhart, Morgan Freeman, Angela Bassett. Disgraced Secret Service agent (and former presidential guard) Mike Banning finds himself trapped inside the White House in the wake of a terrorist attack; using his inside knowledge, Banning works with national security to rescue the President from his kidnappers.